Optional: I cooked the meatloaf with 1.5 lbs of mini-red potatoes. One pot. One more item cooked. One less pot to clean! Notes: Two notes. Meatloaf is really easy. Don’t worry about getting exact measurements of the ingredients. 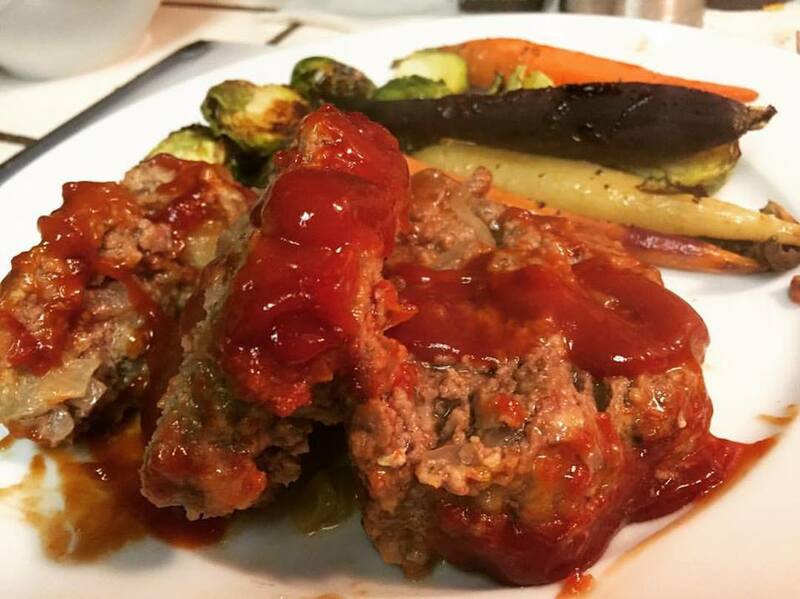 There’s a lot of variations of meatloaf with various additional ingredients. For the most part, if you have ground beef, onions, bread crumbs, and ketchup, you are in really good shape. Second note: For the Instant Pot, consider using these mini bread loaf pans. Each mini pan feeds about 1.5 people. This recipe makes enough for about 4 of these mini pans. I ended up cooking two in the Instant Pot and freezing the others for later use. Preparation: Chop your onions and place it in a large bowl. Then add the other ingredients: ground beef, Parmesan Cheese, bread crumbs, eggs, salt and pepper (or Monterrey Steak Seasoning), ketchup (about 1/2 cup), and mustard (a few good squeezes, maybe 1/8 of a cup). Pretty much all your ingredients. Prior to mixing the ingredients, I would recommend lightly greasing your mini bread loaf pans and setting them to the side of your mixing bowl. Once you have the pans ready, go ahead and start mixing the meatloaf mixture. I prefer to use my hands. Mix it with your hands until the mixture is uniform. If you feel like your mixture is a little dry, add some ketchup. Once mixed, add the mixture to the mini loaf pans. Press the mixture into the pan and leave about 3/4″ space at the top. Once all your pans are filled, grab your ketchup and apply a thin layer of ketchup on top of the mixture. Wrap the tops of each pan with foil. In the Instant Pot, place the trivet into the stainless steel pan. Add water so it fills up to just about below of the trivet. This is where your Tetris skills come in. 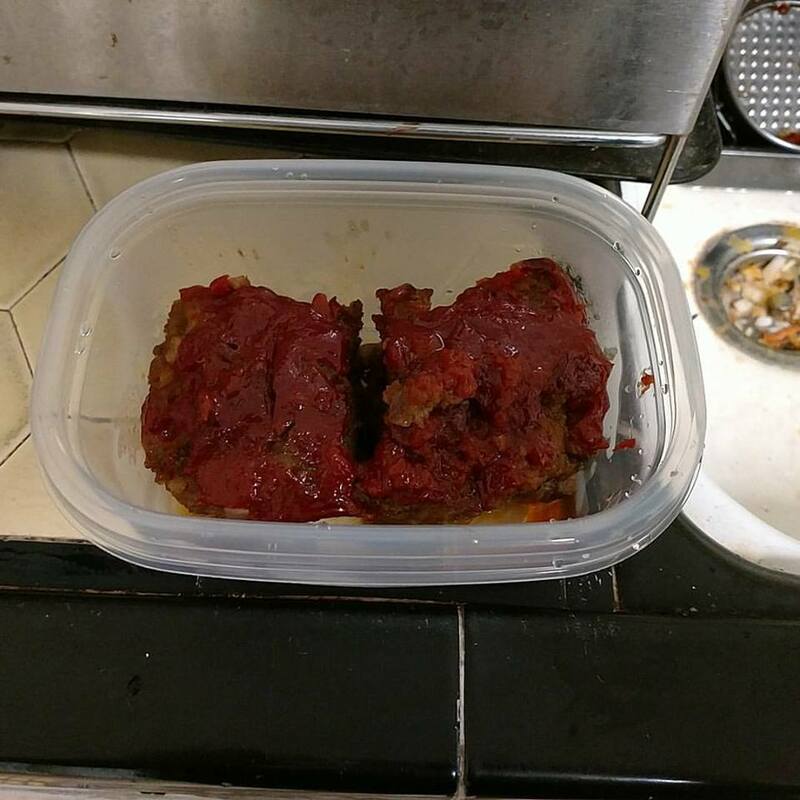 Tetris 2 of the meatloaf pans and your mini red potatoes into your Instant Pot. I ended up stacking the two on top of each other so they make a plus (+) sign and placing the potatoes around them. Cook on Manual for 30 minutes. Quick Release the Instant Pot valve when done. Remove the meatloaf pans, remove the foil, and place the meatloaf under the broiler for a few minutes! Optional: The mini red potatoes were cooked perfectly. Consider dressing them with your favorite spices/flavors.